I made this with some instructions from a friend Janet. 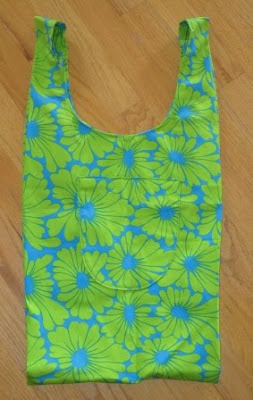 It is a basic reusable shopping bag. I got the fabric from a garage sale of a quilting friend for about 2 or 3 dollars. Love the lime green and turquoise, they are my colours these days. I made this a few weeks ago but have been bad about up dating my blog. My machine quilting business is very busy now with Christmas coming. The Leduc Quilt Show is this weekend coming up Sat 17th from 10 till 6 and Sunday 18 from 10 till 4. It is at the Leduc Composite High school. You can find me in the market mall selling my hand dyed fabric and thread. I will have to get a photo or two to post for those of you that are to far way to visit us.